Although Tru by Hilton & Kellogg’s sponsored this post and provided me with a hotel stay, all opinions and content are my own. As you all know, I like to travel – a lot. It’s truly one of my passions. The more I travel, the more I want to travel. The more I see of the world, the more I want to see of the world. And after a tough pregnancy and the first year with a newborn, I’m so happy to be back on the road and in the air traveling! Over time, I have surely developed hotel preferences. Now, though, when I travel with my little family, I’ve found that my priorities have shifted a bit. With that in mind, I was excited when Tru by Hilton reached out to me to try this all new hotel experience. 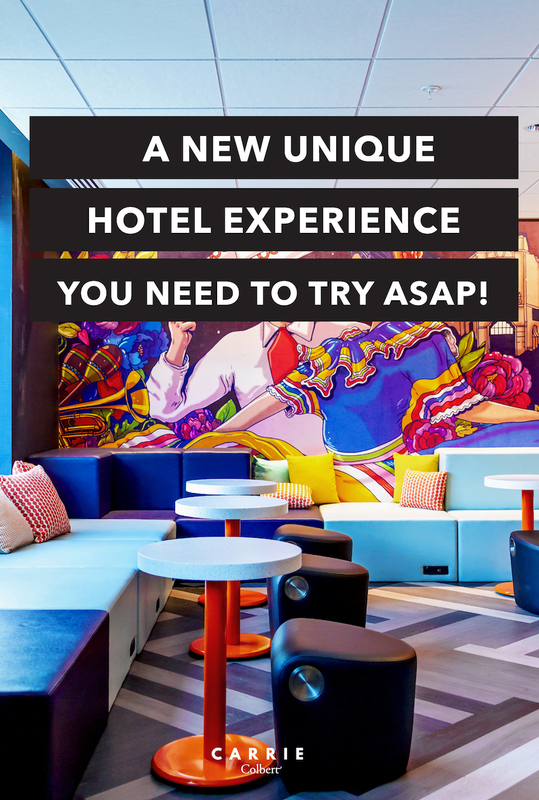 Tru by Hilton is an all-new hotel experience from the Hilton brand that we all know and love. This new hotel is truly unique! It’s modern, vibrant, family-friendly, and a great value! Keep on reading for more about our Tru by Hilton experience. Last week, we took a road trip to San Antonio. 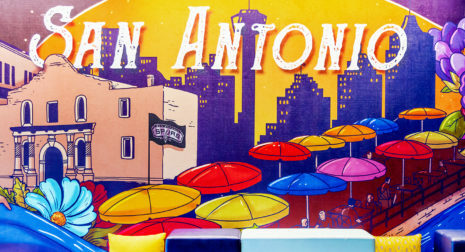 Even though San Antonio is only three hours away from Houston, it had been years since I had visited this vibrant city. 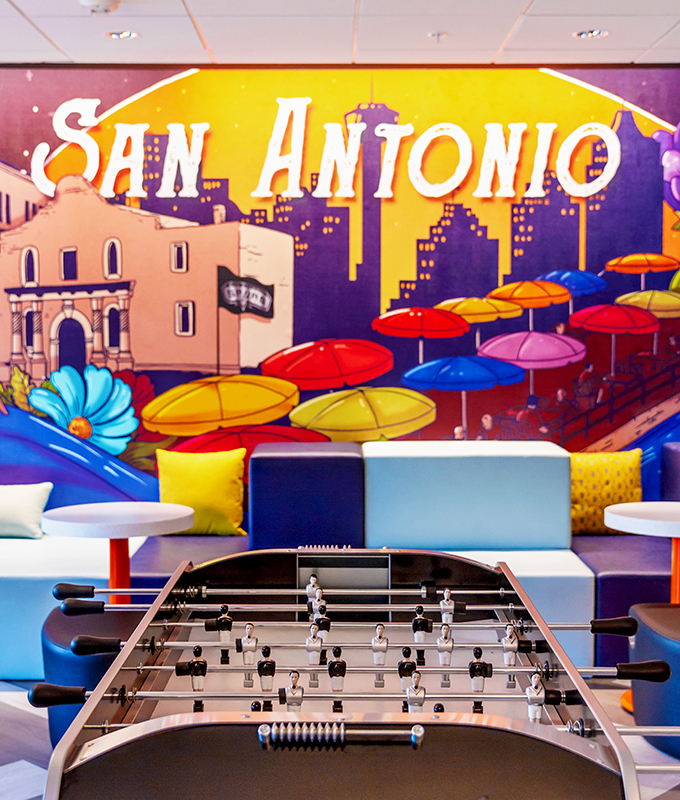 We were thrilled to call Tru by Hilton near the San Antonio river walk our home away from home for a few days. Sure, we all love a free breakfast. But this isn’t just a standard free breakfast. This is a Tru Top It Breakfast! What does that mean exactly? 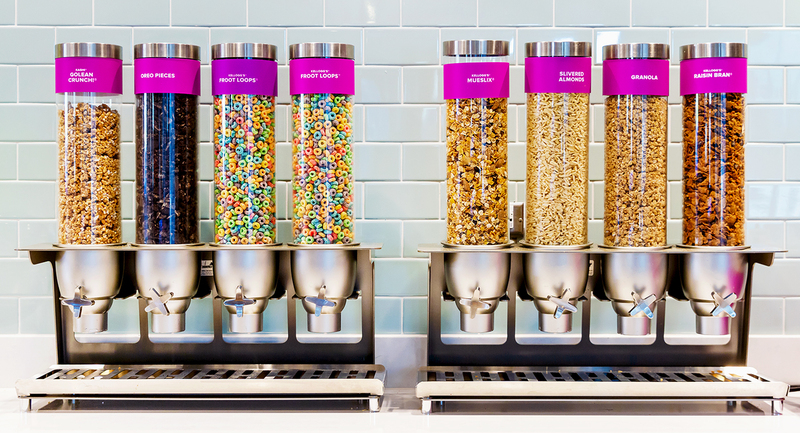 Well, Tru by Hilton has partnered with Kellogg’s to create a one-of-a-kind cereal destination! Start with any number of delicious Kellogg’s cereal options like Raisin Bran, Special K, Froot Loops, and more. 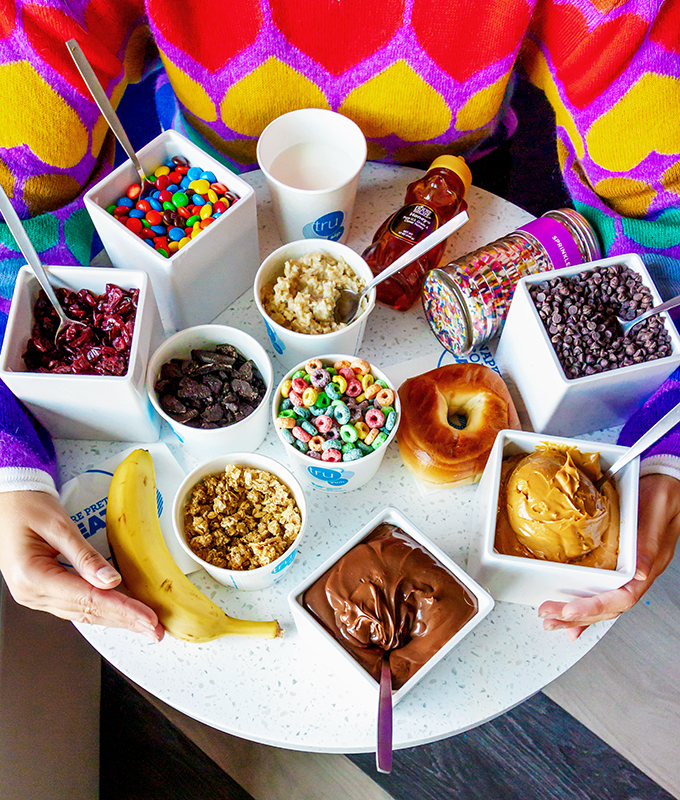 And build your own breakfast masterpiece by choosing from over 35 toppings! 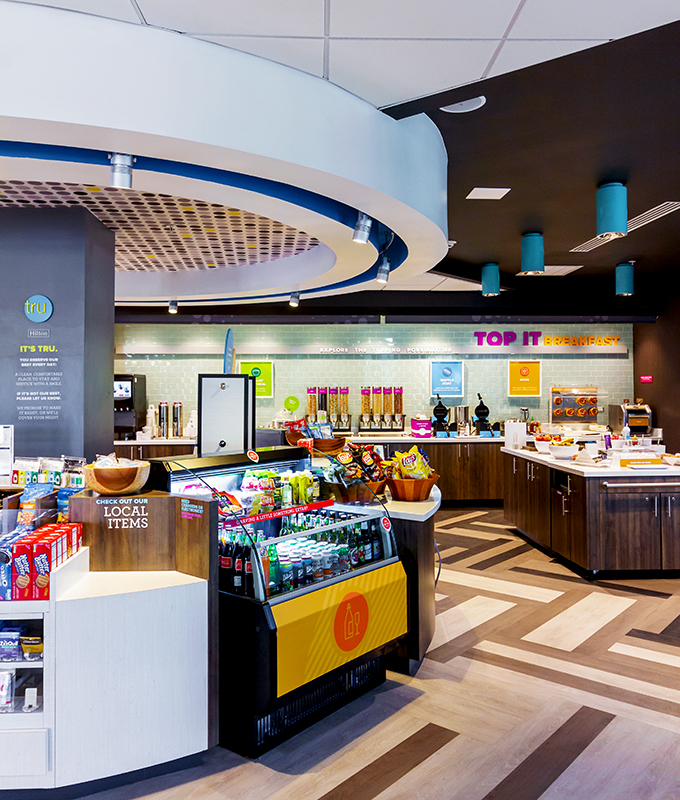 Besides the cereal options, the Tru Top It Breakfast Bar also includes hot breakfast options like scrambled eggs, sausage, waffles, and so much more! If you feel the need to add in even more, you can also add oatmeal, granola, fruit, and yogurt to your breakfast. 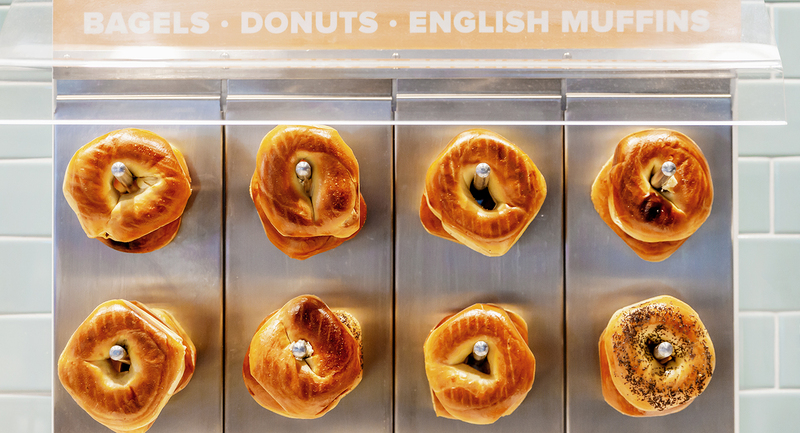 Indeed, you will have no shortage of options for creating the breakfast of your dreams! 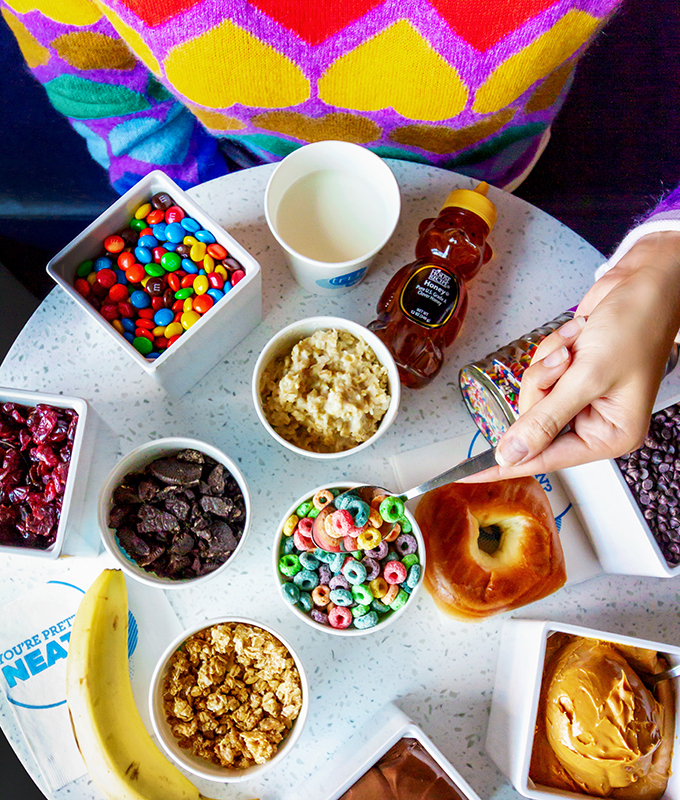 Endless edible possibilities are at your fingertips. 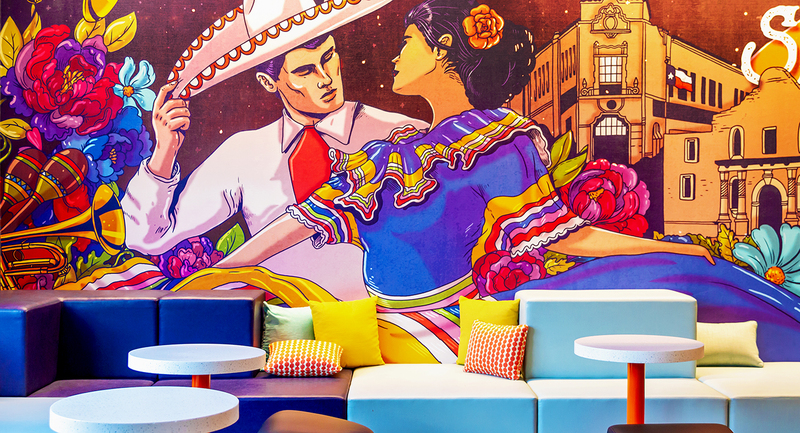 What hit me immediately upon arrival was the vibrant, modern, colorful design of the hotel. Off to the side of the check-in desk, I spotted the most fun game space right away! 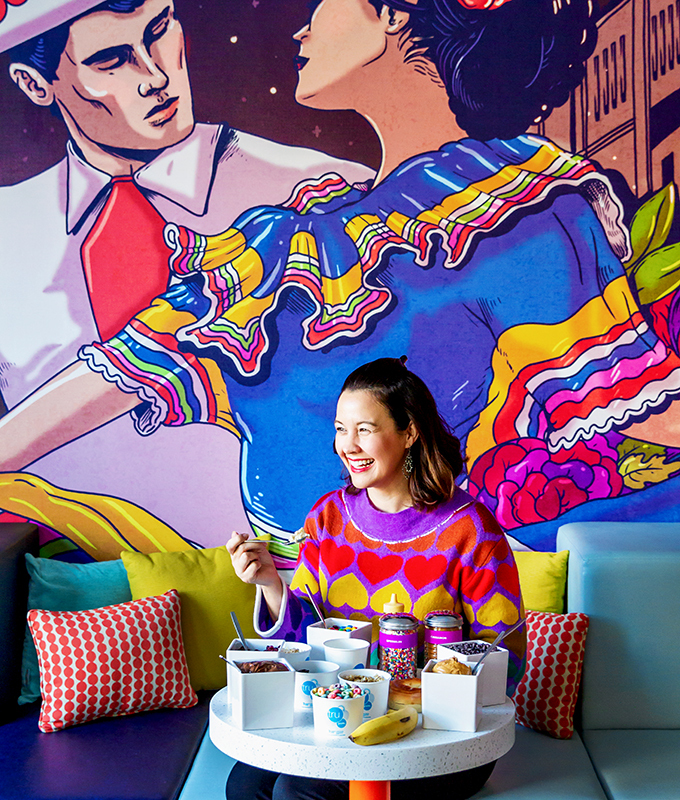 Of course, what drew me in was the colorful mural on the wall! You all know I love a good mural. You know what they say: “the writing is on the wall.” And in this case, the writing was literally on the wall welcoming us to San Antonio. 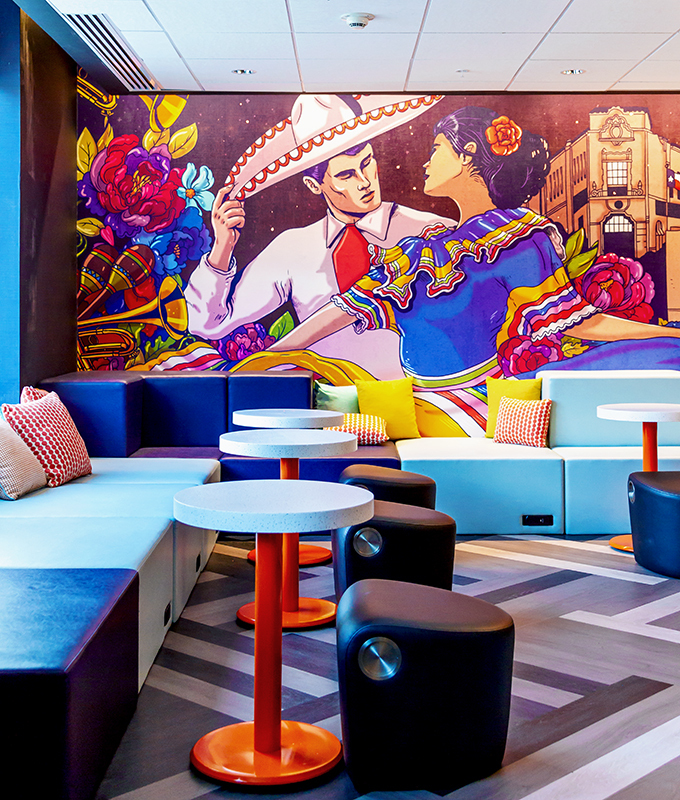 Indeed, Tru by Hilton has added a truly special touch to each hotel by commissioning these murals inside each hotel. The murals are inspired by the local culture and highlights notable spots around the city. But the great design doesn’t stop there. From the lobby to the guest rooms, the design is efficient yet warm. I loved how functional the guest rooms were. Every detail had been so well thought out. Form and function were perfectly combined to create a usable space with a modern aesthetic. Given the business I’m in, it’s imperative that I’m online almost all the time. And when I’m traveling, nothing is worse than settling into my hotel and getting online to work and discovering that the internet connection is slow. Equally frustrating: a lack of convenient electrical outlets. Never fear, my tech-forward friends! Tru by Hilton has you covered on this front. Whether you want to work from your room or from the designated work spaces, you will have everything you need at your fingertips. I enjoyed working from the semi-private alcoves in the work space area. There were other professionals working there, so it was a great way to stay on task! Plus, when I needed to print something, I learned that I could print from anywhere in the hotel with free wireless printing! Most importantly: Did I mention the Wi-Fi is free? Hashtag winning! Let’s be real: when you travel, the most important thing is getting a good night’s sleep. No matter how nice the hotel is, nothing makes up for an uncomfortable bed. We’ve all been there – tossing and turning all night and then waking up with back and neck pain. Well, for this very reason, I’ve been a fan of the comfy beds at Hilton hotels for many years! Their beds are top notch. And the Tru by Hilton beds lived up to the brand standards. I slept so soundly both nights of our stay. 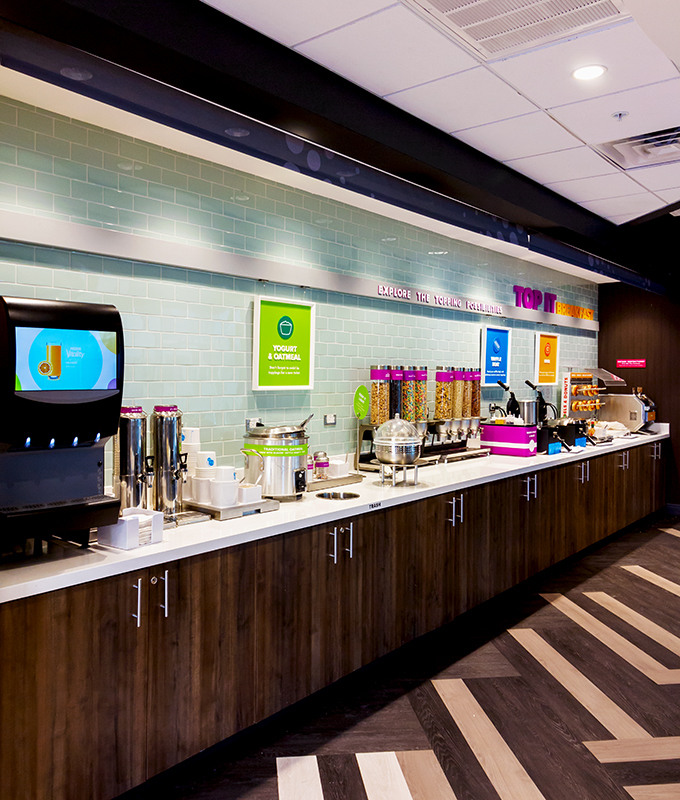 Truly, Tru by Hilton is a new, unique, modern hotel experience. Whether you are a business traveler, a foodie traveler, a family traveler, or whatever, Tru by Hilton will meet all your needs in style. Give it a try, and let us know what you think. Fall is here! It's time to try out one of the newest 'it' colors - pink. Check out our 20 favorite pink picks for fall.